Turns out two deadlines during half term is not an ideal combination for getting much else done. In a busy week, here’s what we’ve been up to on the frugal and thrifty front. During half terms and holidays, the grandparents kindly carry off each child in turn for a day of excitement and outings. 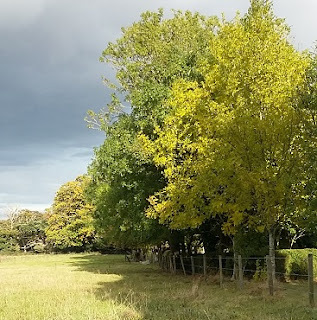 Last Saturday, while our daugher was on her “only child day”, my husband and I decided to take our son out for a country walk. 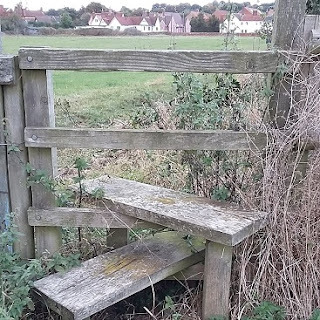 Great chance for family bonding, enjoy the beauties of nature, plenty of fresh air, loads of exercise and (from a frugal perspective) completely free – what could possibly go wrong? Turns out country walks are not quite so appealing to six-year-olds who would much rather be glued to the telly. However, through a combination of different tactics, from rampant bribery (come on a walk and you’ll get one of the Approved Food bargain mini Mars bars!) to distraction (look! red tractor! ), we did get out for a really good walk. We went in a big circle out past Holbecks Park (look! that’s where the Hadleigh Show was!) and back near the rugby club. Entertainment along the way included lengthy discussion of potential birthday party themes, with a comparison of the relative merits of Star Wars and Lego Ninjago, attempts to catch falling leaves to guarantee a day of good luck, selecting sticks, rolling down hills, scaling stiles and five-bar gates and kicking a flint along the lane. But by far the best distraction for a recalcitrant small boy turned out to be poo spotting. Yup. We counted six – cow, horse, bird, dog, rabbit and cat, with competing opinions on whether a second set of rabbit droppings actually came from a sheep. (Think it’s pretty clear which side of the argument I favoured). It was definitely the easiest and most effective way to keep a six-year-old walking. You’re welcome. Amazing smells, all for free. Moving on to more fragrant topics (see what I did there? ), last Friday I was getting ready for an evening out and decided to use some of the hotel toiletries from my competition win. 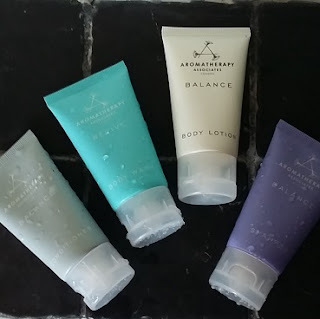 That stay at The Marylebone Hotel really is the gift that just keeps giving, as the Aromatherapy Associaties range from the hotel room smell quite amazing. I don’t often bother using fancy toiletries, and I would very rarely buy them, but it made a nice treat. And please tell me I’m not the only one to come home with part-used hotel bath products! The evening out was a committee meeting over in Cambridge for a voluntary role I’ve been doing for the last 15 years. It’s time to hand on to new faces and fresh ideas after all this time, so it was my last committee meeting, and a strange mix of celebration and sadness. 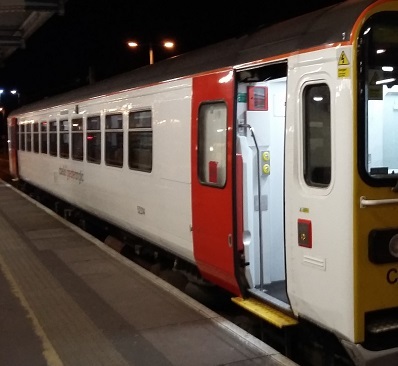 There’s a handy train that runs direct from Ipswich to Cambridge, even if it does stop pretty much anywhere you can think of. When I booked tickets online I was delighted to discover Abellio Greater Anglia was offering cut-price weekday tickets until 30 October, so I only paid a tenner for an off peak day return, rather than the normal £17.30. Chocolate chip cookies: only disadvantage, they don’t last long. While my son went off for his day with the grandparents, one of the things my daugher wanted to do was bake chocolate chip cookies. Correction: my daughter wanted me to bake chocolate chip cookies, so that she could eat some cookie dough, and the finished biscuits. Anyway, we had a good time in the kitchen getting all the ingredients out and bunging together some biscuits. 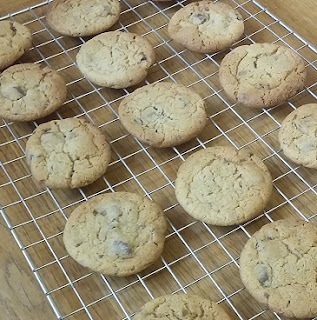 I’ve posted the really easy and reliable recipe before, and if you don’t fancy chocolate chips you could add in something else like raisins, Smarties or peanuts. Last time I priced them up, they came to about 75p for 15 gorgeous chewy biscuits. You only need six ingredients, and if you use raisins and Stork instead of butter, they’re dairy-free too. My top frugal tip would be to avoid paying over the odds for chocolate chips, and just cut up a bar of own-brand or value range chocolate instead. During half term, Hadleigh library ran a Harry Potter evening, which the attractions of quizzes, treasure hunts, hat and wand making, butterbeer and a selfie stand. My daughter has been avidly reading the books, and both children like the films they’ve seen so far, so I duly handed over a fiver each for the tickets. Rather than buying Harry Potter costumes, we had a look at what we already had in the house. My daugher wanted to go as Ron Weasley, so I tracked down a hand-knitted pullover that had been passed on to us. I cut out a large R from some scraps of red felt, sewed it onto the pullover, and reckoned it made a recognizable Mrs Weasley Christmas jumper that could be worn with black school trousers and while polo shirt. My son went as Hagrid, in a brown T shirt and trousers, eye liner beard, and the charity shop sheepskin gilet bought to be Hiccup Horrendous Haddock III on World Book Day. (If you’ve never come across the greatest Viking hero that ever lived, he’s in the How to Train Your Dragon series of books and films). 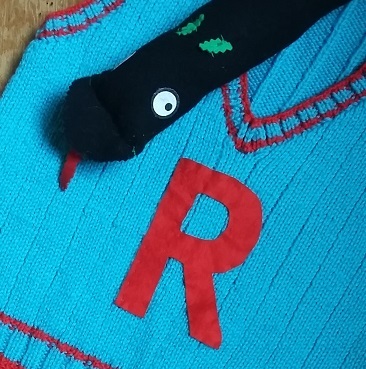 There was also a competition for models of creatures from the Harry Potter books, and my daughter used some felt to sew a basilisk, the (spoiler alert) giant serpent which appears in Harry Potter and the Chamber of Secrets. We had a fun afternoon making stuff for free, and the kids enjoyed the Harry Potter evening afterwards. Now over to you – any frugal success to share from half term? I’d love to hear! I'm going to try those biscuits, I have a never-ending bottle of agave to find uses for, thanks. Definitely worth a try, they're a real family favourite here. Would love to hear how you get on! There's a another recipe on the same link, for New Zealand biscuits, which also uses syrup, combined with oats and dessicated coconut. You're right about the chocolate chips. Tesco value white chocolate is absolutely delicious! Hi Jenny – Glad the Tesco value choc is so good! I tend to use Sainsbury's Basics and Morrisons Savers, just because I can get to their branches more easily. Thanks for the reassurance Cass, glad it's not just me!